Honda, the largest (by volume) motorcycle manufacturer in the world has launched one of its least expensive motorcycles. Made specifically for the booming two-wheeler market in India, the 109cc Dream Yuga is set to retail for 44,642 Indian rupees. That price wouldn’t translate directly here in the U.S., but a simple currency conversion at today’s monetary values equates the rupee cost to $830. According to published specs, the Dream Yuga is powered by a 109cc air-cooled, 2-valve Single, which is good for a claimed 8.5 bhp at 7500 rpm. The engine inhales from a CV carburetor, has a 4-speed gearbox, carries 8.0 liters (2.1 gals.) of fuel, and employs a simple kickstart ignition system. Drum brakes front and rear reel in the claimed 108kg (238 lbs) motorcycle. 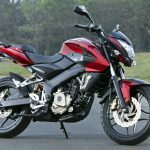 Various reports around the web, including some from reputable publications, quote Keita Muramatsu, president and CEO of Honda Motorcycles and Scooters India (HMSI), as saying the Yuga is the least expensive new Honda motorcycle the world over. However, as we reported in September, 2011, Honda launched the Ace CB125 for the Nigerian market at 100,000 Nigerian naira, which coverts roughly to $630 U.S.
Keita Muramatsu, left, HMSI president and CEO, unveils the Dream Yuga in India. Popular Bollywood actor, Akshay Kumar, right, has been tapped to help promote the Yuga. 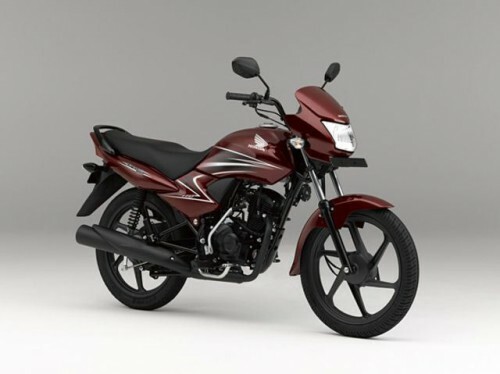 The Dream Yuga is Honda’s first crack at a mass-market machine in India following the end of Honda’s relationship in 2010 with Hero Motor Corp. With this latest bike Honda is looking for big growth numbers. HMSI has a 13% market share in India which it hopes to increase to 30% by 2020 according to Muramatsu. 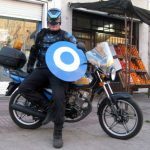 Hero currently holds 45% of the market. According to the NationalPost.com, “commuter bikes” make up 70% of the two-wheelers in India, with 10 million units sold, making India second only to China. With the new Yuga Muramatsu says Honda’s scooter-to-motorcycle production ratio will reach 50:50.